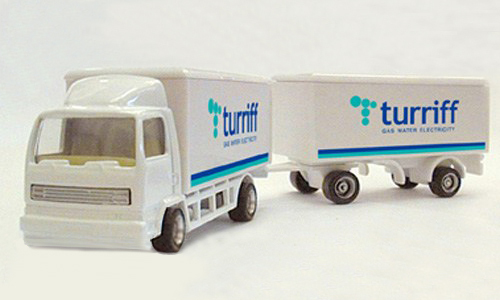 When you need to deliver a message effectively and economically, send a special value ADTRUCK – choose a brand new model or one of the special value opportunities. 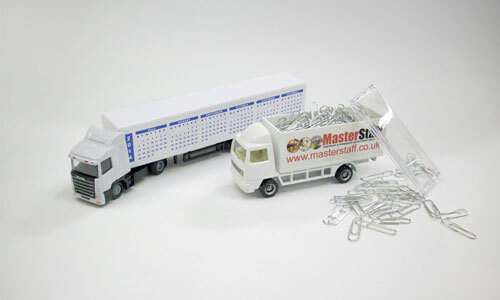 In this selection are exclusive ADTRUCKS models designed especially for promotional applications and available from stock from just 300 pieces with short lead times. Deliver your message with this popular best - seller! Double up on the IMPACT! 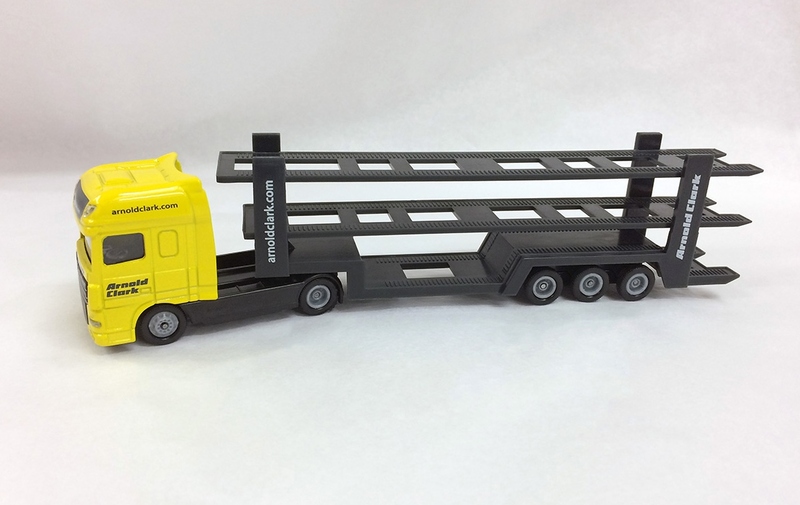 The popular C28 delivery van model just got better – with the addition of a drawbar trailer to double the print positions and double the impact of your message! With removable tops on both parts this one’s a double winner! Personal connections with European and Far East manufacturers puts Conquer in a unique position to steer large volume promotions successfully from concept to conclusion. World of possibilities is open to you through Conquer for volume promotions and premiums, through our unrivalled experience and connections. 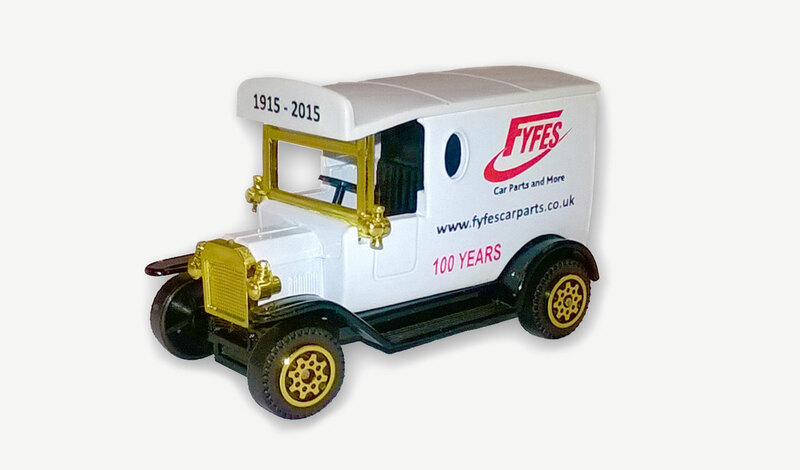 Budget premiums or quality collectables From 10,000 pieces Special sets & packaging Existing models or new mould development. From design stage through tooling and production, to final delivery, your model will be in experienced hands. 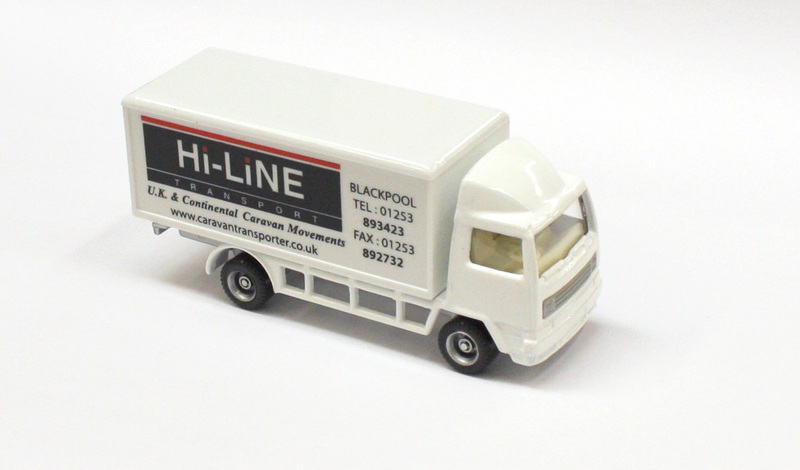 For example we have successfully created new scale models for companies such as Vauxhall, the AA and Arnold Clark – as well as our own ADTRUCKS models of course! 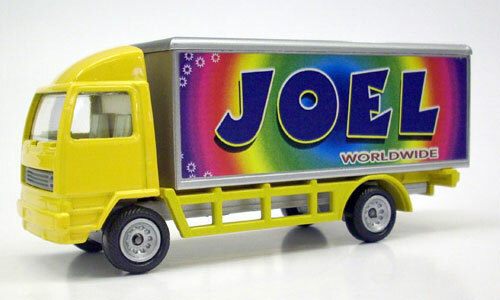 The Car Transporter for Arnold Clark (above) is a good example of the expertise Conquer can bring to creating new models.